The rapper's visit to the White House was memorable in all the wrong ways and an uncomfortable moment in the rapper's decline. 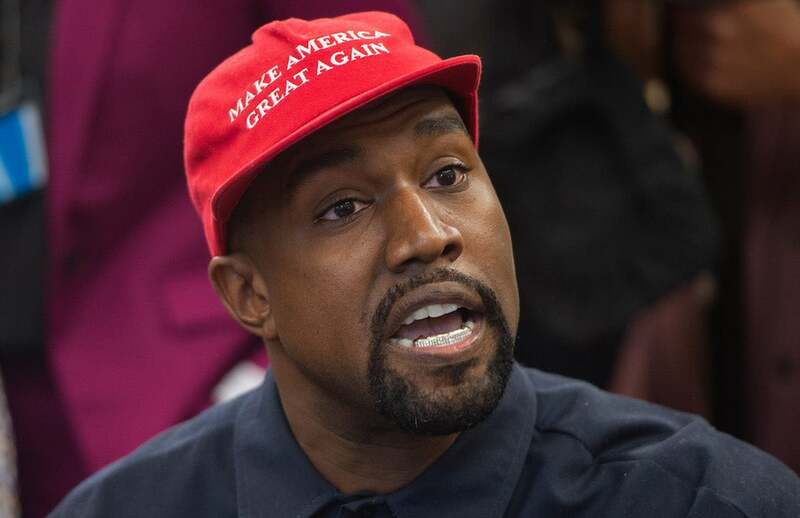 On Thursday, Kanye West visited the White House for a planned lunch with Donald Trump, Jared Kushner, and Ivanka Trump, where the rapper was set to discuss violence in his hometown of Chicago. Here’s a quick rundown of what happened during his meeting with Trump. West said his former comments that George W. Bush “doesn’t care about Black people” were misguided. The rapper said that he didn’t feel empowered by Hillary Clinton’s “I’m With Her” slogan, but felt empowered by his MAGA hat. West defended legal gun ownership when asked about the Second Amendment. “The problem is illegal guns. Illegal guns is the problem, not legal guns. We have the right to bear arms,” he told reporters. The rapper did get around to discussing prison reform, calling for clemency for Larry Hoover. Hoover, the founder and leader of Chicago’s Gangster Disciples is currently serving a life sentence in a maximum security prison for murder, extortion, conspiracy, and continuing to engage in criminal enterprise once incarcerated. Hoover oversaw a $100 million drug enterprise from jail. He later worked as a political organizer while in prison. West also doubled down on plans to run for president.